This is a solid Barossa blend with charisma and depth. It has rich enticing flavours, lovely balanced tannins and a complexity that highlights the winemaker’s craft. It’s a classic blend in perfect proportion capturing the best of these two varieties. The colour is dark plum to garnet red with slight hints of violet on the rim. It has great depth and intensity. The bouquet is sophisticated and layered. It unfolds gently in the glass to reveal subtle blueberry fruit, oak and dried herbs. The alcohol is obvious and lifts some of the more complex gamey aromas. After a few minutes breathing in glass, medicinal herbs and cedar wood come to the fore. The palate opens with brandy soaked strawberries and lovely vanillin flavoured oak followed by a heady belt of alcohol sweetness filling the mid palate with rich fruitcake and fresh roasted coffee beans. The body weight is full and textural while the tannins are smooth and drying which flow onto the finish with mocha and dark cocoa. This wine is showing harmonious balance and depth of character that can handle strongly flavoured dishes, try it with slow roasted lamb shanks or pasta with rich Bolognese sauce. 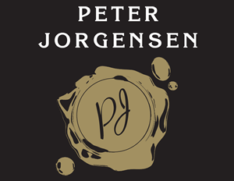 Peter Jorgensen’s Reserve wines are selected for their longevity and depth of character. This Cabernet Merlot will age for many years developing further chocolate and mocha flavours over time. It is nicely balanced now and will continue to impress for the next 5 – 8 years.